Known as the “Bass Capital of The World,” performing at Red Rocks Amphitheater is a huge deal for many artists. On Oct. 19, six different versatile artists, including headliner Blackbear, were granted the opportunity to perform an epic show in Morrison, CO. The show began with a lesser known artist Stalking Gia. Though she isn’t widely known, many Blackbear fans recognize from their collaboration on the Blackbear’s song “wish u the best.” Though she toured with Blackbear, her tone and vibes didn’t exactly fit along with the positivity of the other artists. 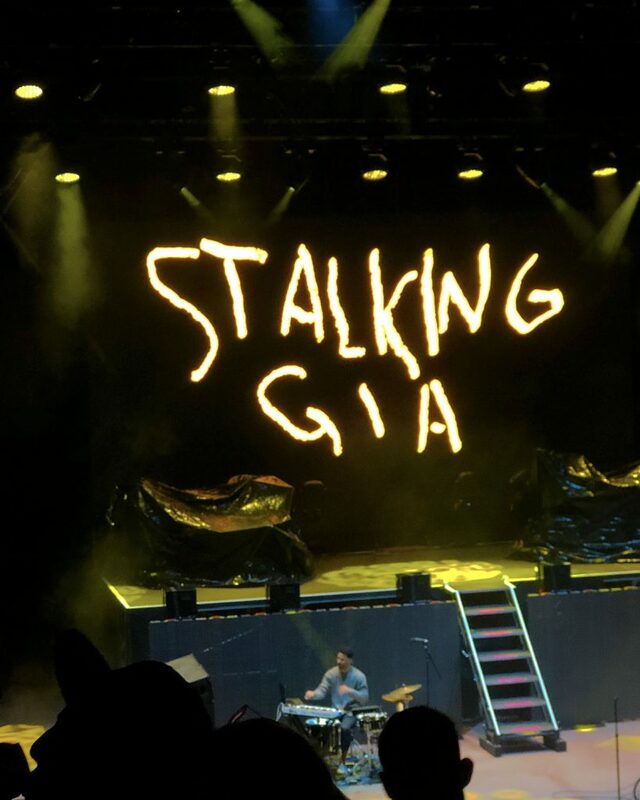 “Her voice and sound was pretty good,” said sophomore Alex Concha, “but her lyrics were super depressing.” Subsequent to Stalking Gia, artist Mike Posner put on an emotional show as well. All throughout the crowd, Mike Posner stunned the audience with his acoustic guitar and beautiful piano ballads. “I honestly don’t think his music really fit with Bear’s music because his songs were super sad,” said sophomore Darby Mytko. Many of his moving pieces were dedicated to his father who he lost in 2017. Concha agreed that Posner’s music was more low key than other artists at the concert. “When he played one of his songs on the piano. It’s normally a super fun song but it was just sad,” said Concha. Though the songs had sad lyrics, Posner’s contagious energy helped the crowd to sing along and be united by music. Now that the headliner has performed the show should be over, right? Wrong. Since both halves of the iconic musical duo Mansionz were at the venue that night, a collaboration was in order. As Blackbear walked off and the lights went down, the crowd began chanting. “Mansionz! Mansionz! Mansionz!” First a drummer, then a pianist appeared and the crowd became silent. Two familiar silhouettes appeared on stage. Mike Posner and Blackbear, the artists of Mansionz. “I didn’t know Mike Posner was the other part of Mansionz,” said Crist. “I knew him more as a solo artist.” Though Mike Posner’s performance with Blackbear was very different than his solo performance, both were equally captivating to the crowd. Whether you attended the show as a Blackbear fan or not, the show was incredibly uniting. Everybody danced together, sang together, screamed together, and bonded through the calming yet exciting music that night. Overall the show was an exciting experience for people of all ages, especially if it was their first Red Rocks show to attend.